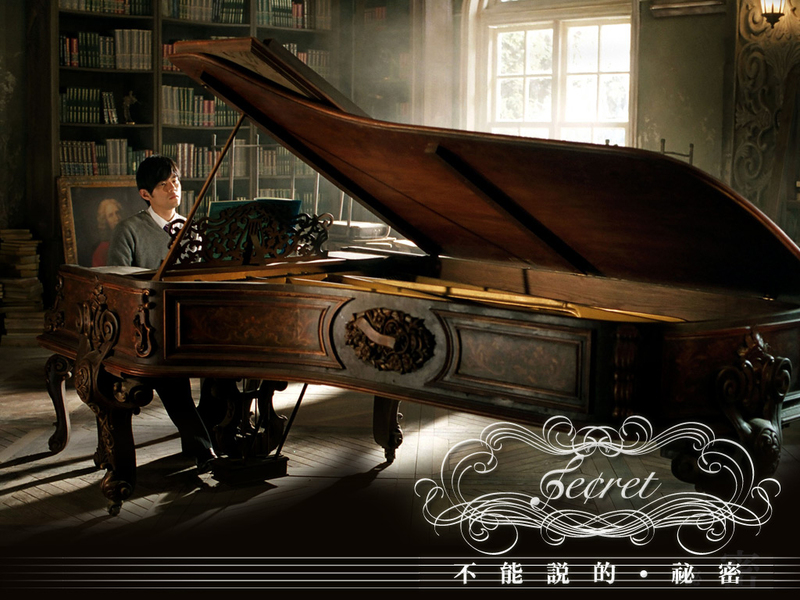 On his first day transferring to a new school, music student, Ye Xiang Lun, discovers a fellow student, Lu Xiao Yu, playing a mysterious song on the piano in the old piano building. The two develop an innocent and playful relationship, but is one that only the two of them are aware of. When a series of misunderstandings causes Xiao Yu to suddenly disappear, Xiang Lun finally discovers the secret that brought them together. Wow. Has it really been almost eight years since Secret was first released? I have this movie on VCD…do they even make those anymore? I remember there being a lot of excitement and skepticism surrounding this movie because it was during the “Golden Age of Jay Chou.” Prior to his film debut in Initial D, Jay was best known for his musical talents and idol persona, so it was quite an unfamiliar feeling to see him gracing the silver screen. Now, it’s one thing to act in films, but it’s a totally different story to direct one. For anyone that’s listened to Jay’s music, they already know that the man’s got an ear for beautiful music. What was so surprising and successful about Secret was that Jay was able to translate the trademarked class and beauty found in his music into this other medium, a film. I feel like it would be remiss of me if I didn’t begin this review by discussing the aesthetics of the movie. I’ve always said and I still do now, Secret is the most beautiful movie I have ever seen or heard. Note that I’m talking about beauty of the eye and ear candy variety, and not the actual story. Being that this is a Jay Chou film, of course the music drives the plot. The very classical sounding OST really helps to set the mood and tone for the movie because there are certain parts, namely the first half, that are relatively slow and relaxed. The twinkling piano melodies convey the innocence of this puppy love relationship, while melancholic ones enhance the longing between the pair when they’re apart. Jay was able to tell the entire story of the movie through its soundtrack, deftly blending his composing experience with his directing inexperience. Each track sounded beautiful on its own, but they sounded complete when listened to together. 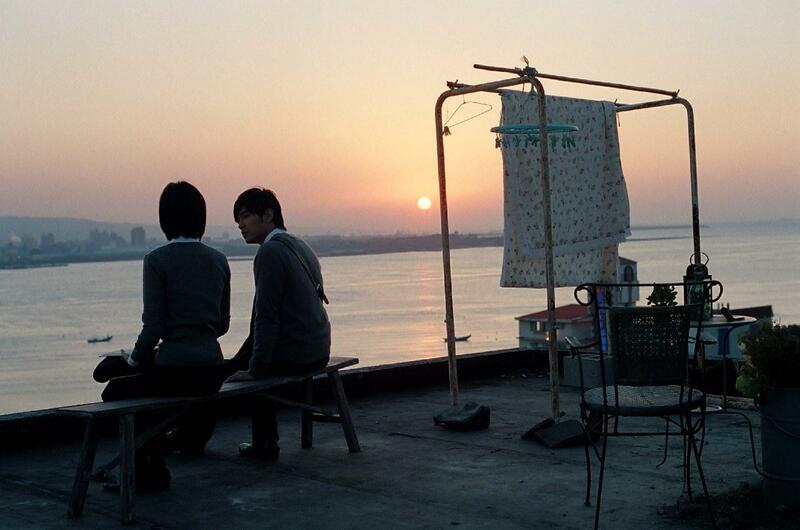 As for the visual aspect of the film, it’s almost like Jay Chou invented those Instagram filters himself. 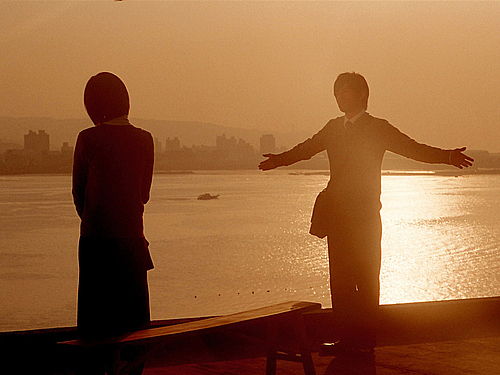 When I was watching the drama, Back in Time, I was often reminded of Secret because of how similar the cinematography was. And like how I described the drama as looking like it was filmed with an Instagram filter on it, the same can be said for Secret. The cinematography for the film was just stunningly beautiful. Whether it’s in the color scheme of pastels and muted jewel-tones or the wide camera pan outs to capture the nature scenery, it was all so pleasing to look at. And with the music from the OST playing in the background, the innocence and romanticism of the story and its characters were made even more tangible. While the beautiful sights and sounds of the movie were somewhat expected, it was the plot of Secret that took me by surprise. I wouldn’t have thought that Jay, in his directorial debut, would write such twist-heavy story. He took elements from other genres, and essentially made a romantic mystery. What’s even more odd is that it actually worked! Without the mystery, or “secret,” angle in the movie, this would have just been a pretty film with an average plot. But because there is this other hidden side to the story, the viewer is allowed to guess along the way what the big secret is. When I first watched the film, I was anxiously awaiting the big reveal and was genuinely surprised by it. Hey, the title of the movie is Secret, so you know there’s gotta be a good one somewhere in there! Fair warning though, don’t bother figuring out whether or not the secret is actually logical. Just don’t do it. For all his strengths as a rookie director, Jay Chou the actor still has some catching up to do. I think I’ve never been able to fully get on board with his acting because it just doesn’t seem natural enough. It’s evident in his stilted acting that Jay cares a lot about his image, so it’s hard for him to fully embrace a character without abandon. Thankfully, his character in Secret didn’t require him to emote that much, so he was able to get by. Gwei Lun-Mei was the true star of this film, despite Jay getting the top billing. She’s a very confident actress that makes even the most implausible scenarios seem likely (re: the secret). I’m glad that Jay found a worthy actress for the role because it would have been too easy to take some of the more serious moments of the film into the over-the-top melo territory. Anthony Wong didn’t have that much to do in this film, but his presence definitely gave it more respectability. Although I’m inclined to think that he just agreed to be in this as a favor to Jay. Even if you aren’t a Jay Chou fan, it would be difficult and unfair to completely dismiss his directorial debut. Is it a perfect film? No, definitely not. But Jay’s awkward acting and the plot’s lapses in logic aside, Secret has an intriguing plotline that is led by a very capable lead actress, gorgeous cinematography, and a masterful soundtrack. As for the directing, Jay has a very keen eye for what looks good and interesting and he made sure of that with Secret. Not saying he’s the next Ang Lee or Wong Kar-wai, but this honestly looked more like the work of an experienced and self-assured director than a rookie. Just forget for a moment about Jay Chou’s idol status and the assumptions that go along with that, and appreciate the quiet confidence and beauty of Secret. Prior to directing Secret, Jay Chou had only directed music videos. He also co-wrote the movie’s screenplay with To Chi-Long. Jay and Anthony Wong previously collaborated on the 2005 film, Initial D. They won the “Best New Performer” and “Best Supporting Actor” awards, respectively, at both the 42nd Golden Horse Awards & 25th Hong Kong Film Awards. Anthony Wong became Jay Chou’s godfather after the duo played a father-son pair in Initial D.
Fun fact! Gwei Lun-Mei presented Jay with his award at the GHA. Secret was nominated for 6 nominations at the 44th Golden Horse Awards and won 3 (Best Visual Effects, Best Original Song [“不能說的秘密/Secret” by Jay Chou] & Outstanding Taiwanese Film of the Year). Gwei Lun-Mei won the “Best Actress” award at the 49th Golden Horse Awards for her role as Mabel in the coming-of-age film, Girlfriend, Boyfriend (Gf*Bf). Jay starred in and directed his second film, The Rooftop, in 2013. It’s categorized as a “martial arts musical”…yeah, just skip it. Jay recently married his girlfriend of 4 years, Hannah Quinlivan, in January of 2015. The couple recently announced that they are expecting their first child. Congrats! The most memorable scene from the movie: the epic piano battle! Dem skills don’t lie. I loved this movie! Now I’ll have to go and rewatch it again. Me too, I love Jay Chou. Maybbe I got to know him through this movie I’m not 100% sure, but I think I found out he was a singer after watching this. Secret is a solid movie although when I saw it a few years ago, I did NOT get the ending, and I remember people arguing on youtube over it. The debate was actually hilarious and entertaining. I need to re-watch it to see if my perspective has changed, or if I’m actually getting something about the ending. Oooo, I recently watched this and really enjoyed it! It wasn’t what I expected, in a good way. I think the filming and the cinematography of it was brilliant!